Akal Takhat Jathedar warns Yogi Bhajan's SikhNet; Take control of complaints about Hinduvata practices! Akal Takhat Jathedar warns Yogi Bhajan's SikhNet to take control of complaints about Hinduvata practices & align with Sikh Maryada as related in a memo by Yogi Bhajan's son in-law Bhai Sahib Satpal Singh Khalsa to Yogi Bhajan's Khalsa Council, Sikh Dharma International, 3HO Foundation and all other Yogi Bhajan's organizations. SikhNet director runs from fb discussion, deletes post, censors & threatens lawsuits against Sikhs! Sat Nam. I am glad to hear that in the upcoming meetings later this month, there will be discussions regarding various serious matters that have been raised against our organizations that challenge the teachings and legacy of our beloved teacher -- Siri Singh Sahib Ji. In addition to the allegations mentioned in the recent letter by Sardarni Sahiba Gurujot Kaur, Secretary General/CEO of Sikh Dharma International/Khalsa Council, there are many others that have been brought to my attention from time to time. 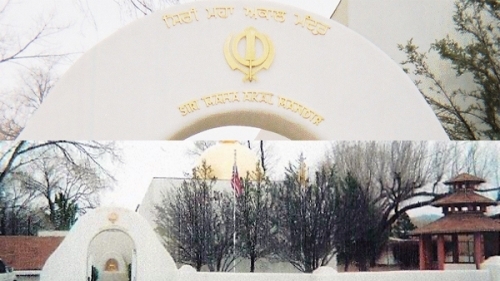 These include the photo of the naked lady portrayed on Snatam Kaur’s Kirtan Sohila Bani; worship of Hindu deities publicly and in homes of leaders of Sikh Dharma and their students; several complaints against practices at MPA and various Sikh code of conduct violations by MPA students and staff; complaints against MPA students smoking and drinking liquor in public; many instances of dancing on Gurbani Shabads including to Snatam Kaur and Gurmukh Kaur’s chanting of Guru’s Bani; idol and stone worship by Sikh Dharma members / teachers and many more such practices. I get many reports, complaints, pictures, letters and proof of Sikh Code violations by Sikh Dharma International Members and Teachers from Siri Akal Takhat Sahib, SGPC, DSGMC and other Sikh organizations in India and USA. I have defended and clarified them to the best of my knowledge and ability but seek your assistance in combatting these ongoing problems. I personally received the initial complaints from the office of Siri Akal Takhat Sahib and spoke to him extensively during my travel with him across USA recently. He has assured all support but warned us to take control of these complaints and rectify them. I am in constant touch with Sri Akal Takhat, SGPC and DSGMC on these issues and will be meeting their key representatives at an upcoming international inter-religious conference this month. I also urge the International Khalsa Council to instruct their members and their respective communities they represent to uphold the tenets of Sikhism and adhere to the strict code of Sikh conduct (Sikh Rehat Maryada). When the Siri Singh Sahib Ji was alive, these issues were never major problems and if there was a slight problem, it would be remedied promptly by the Siri Singh Sahib Ji. In today’s day and age of electronic and social media, news spreads like wild fire and we need to take serious notice of these allegations and protect our organizations and our Sangat worldwide. We do need to counter the campaign by this former student of Siri Singh Sahib Ji who to my knowledge is being instigated and funded by various groups to continue this negative movement against SDI/3HO and other Sikh Dharma organizations. He has the help of certain Sikh groups in India and USA. I do know of these groups which can be handled to stop further damage to our organizations. Last year I did speak with SikhNet and Sikh Dharma International officials and requested them to come up with a strategy to discredit this individual and stop him; but my requests were overridden and I was told that we should “just ignore it”. With all due respect, we cannot “just ignore it” -- we have solutions that we can counter this negativity against us. If we just sit without taking any action and ignore these negative campaigns, people will start thinking that these are true and allegations will turn into facts in their minds. I know we can do a lot and stop this individual from spreading further negativity. Please be aware that there is a serious negative campaign being brewed against us in Northern California, New York and Canada. Additionally, several groups in India have come in to the foray by joining the negative movement of Wake up Sikhs and other such web sites propagating against us. I suggest that Sikh Dharma International set up a separate division to handle these issues and also a department to handle Indian PR, just like Siri Singh Sahib Ji did during his lifetime. The PR wing would be responsible for inviting and hosting Indian Sikh leaders and other important VIP’s to our events and keep in constant touch with them about our activities and events around the world to promote Sikhi and other teachings of Siri Singh Sahib Ji. I have from time to time brought to the attention of Sikh Dharma International the urgent need of this PR/Department but my suggestions have been outweighed and I am constantly told that there are no funds for these activities. Well, SDI/other organizations will have to find funds and establish this department as part of the legacy and continued promotion of Siri Singh Sahib Ji’s teachings. SDI needs to interact more with Indian Sikh leadership in India and when they visit USA. Recently, the President of Delhi Gurdwara Committee (S. Manjit Singh GK) and Chairman of Dharam Parchar Committee (S. Paramjit Singh Rana) visited USA and were in Los Angeles. They wanted to visit Guru Ram Das Ashram and meet with our Sangat members. Despite my emails to several SDI officials, I received no reply. I then called upon Sardar Gurdip Singh Malik and requested him to host them and also take them to the Khalsa Care Gurdwara and give them a saropa -- which he did. It does not cost anything for SDI to invite these officials and give them saropa and have them address our Sangat at Guru Ram Das Ashram. It will only strengthen our relationship with Sikh leaders in India. (By the way, there is no honorarium required for such officials and they were staying in hotels and with friends-so budget and money is not the issue). I am on my own doing whatever possible I can to maintain our cordial relations with the Sikh leadership as directed to me my Teacher and Master -- Siri Singh Sahib Ji. And I will continue to serve as long as I can to uphold his legacy and his reputation. I propose that SDI seriously looks into establishing this PR department and involve members of Siri Singh Sahib Ji’s family. With all due respect and apologies, please bear in mind that the Indian Sikh leaders in India, USA and globally will listen and respect the immediate Indian family members of Siri Singh Sahib Ji more than an American Sikh Student / Leader / Teacher / official. Just like an American Sikh will listen more to their American-origin counterpart, similarly an Indian will listen respectfully to an Indian member of Siri Singh Sahib Ji’s family. Such is the psyche of Indian and American minds. Siri Singh Sahib Ji knew this well and would always send his immediate family members including Bibiji, Kulbir Singh Ji or myself to handle critical issues with the Indian leadership. I propose that Sikh Dharma International considers appointing Sardar Kulbir Singh Puri to head this department and be the main person in charge of interacting with the Sikh leadership. He is not only the son of Siri Singh Sahib Ji which the Indians greatly respect, but he is also a very social person with great ability to make friends and win hearts. He has many inherent leadership qualities and represents an image of our Teacher and Master -- Siri Singh Sahib Ji. With prayers and Blessings to our mission and to the legacy of our Teacher Siri Singh Sahib Ji. May Guru Ram Das Bless us all. "Without dialogue only one side of an issue is resolved." Sat Nam and blessings to all. I am writing to encourage all Khalsa Council members to attend our upcoming Khalsa Council meetings, which will be held on September 23 - 26th in Espanola. At our meetings, we will be addressing a number of serious matters which have arisen over the past few months. There has been an aggressive slander campaign aimed at damaging and discrediting the teachings and legacy of the Siri Singh Sahib and our organizations. This campaign, led by a former student of the Siri Singh Sahib has escalated through his social media efforts. On July 1st, a complaint, signed by 3000 Sikhs, was presented to the Jathedar of the Akal Takht, portraying us as being disrespectful to the Guru and to Gurbani. The issues cited were "dancing and doing yoga to Gurbani". Bibiji spoke with the Jathedar, and he said he did not wish to issue a formal edict (Hukamnama) against us, but he wanted to be sure that we have proper decorum in regard to the Guru, Gurbani and Gurdwara protocol. Additionally, on August 11th, the Hamburg Ashram received an objection letter sent by the Delhi Sikh Gurdwara Management Committee regarding the engraving of the Mul Mantra on the stairs leading to their Yoga Center. This engraving, while having been there for over 20 years, was suddenly objected to by the local Gurdwara in Hamburg. The Delhi Sikh Gurdwara Management Committee threatened to initiate legal action if the floor tiles were not removed within 7 days. News of this was posted on Facebook and was carried on multiple Indian TV stations. The ashram community quickly responded and the situation has been resolved. These incidents are being taken seriously, and raise broader issues and concerns that effect our organizations and Sangats world-wide. Our non-profit organizations (Sikh Dharma InternationaI, Siri Singh Sahib Corporation, Sikhnet, SDEI, KRI and 3HO) have been meeting together to identify and discuss the issues, and come to a common understanding of how we can move forward collectively. The Khalsa Council will be fully briefed about these and other issues at our upcoming meeting. As per the feedback following our last meeting, this upcoming meeting will be more interactive, with much more time for members to discuss the issues, share their perspectives, and to develop a collective strategy in dealing with them. Our next generation members will be fully involved and play a vital role in developing our decisions and actions for the future. We encourage all of our Khalsa Council members to attend and fully participate in these important meetings, so that the Khalsa Council can truly fulfill its role as a leadership body for our Dharma. May the blessings of God and Guru be with you always.